One of the things I didn’t understand when I started my Livejournal four or five years ago was that an author blog is so much more than a way to showcase your writing or promote your books. When other people read your blog, a small number of them will leave comments, which means the reader becomes the writer and the writer becomes the reader. That shifting reader-writer relationship plays itself out through a dialogue that makes the original blog post so much more valuable. A blog is like a conversation that never ends. A good blog post is intriguing and open-ended enough to spark off some kind of discussion. You don’t need or want to be the final authority on anything you happen to write about. You want to come up with something interesting and kick it out there and see what happens next. And like any good conversationalist, a good blogger knows how to listen. This is something that I don’t think gets stressed nearly enough in books and articles about How To Develop Your Author Platform (at least that I’ve read so far). To become truly masterful in traversing the Web and harnessing its energies in a way that benefits not just you but the readers you attract into your orbit, you need to play around and explore. You need to learn the terrain. This is how you’ll find the parts of the landscape that suit you best, the tools you’re most naturally drawn to and the places where you can plant yourself and grow toward the sun. One of the best ways to listen and explore is to read other blogs, subscribe to the ones you enjoy and pull them all into a feed reader like Bloglines. By going through your reader on a near-daily basis, you’ll not only learn new cool stuff, you’ll get a feel for what other people are talking about and how you as a blogger can best contribute to the conversation. And by discovering the blogs you feel an affinity with, you can start joining those communities and leaving comments of your own, which is an important part of reaching out to other bloggers. It’s also one of the ways readers can discover you. If you impress them with your thoughtful comment, they will click on your name and be delivered to your blog, where of course they’ll fall madly in love with you and become your True Fans and maybe even stalk you (in a good way). One more thing. Make sure you subscribe to all kinds of blogs (you can check out my own Cool Links page above if you need a place to start). If you’re a writer writing about writing (ahem), you’ll come up with more original and creative posts if you’re able to synthesize ideas that on first glance might seem like they have nothing to do with fiction writing. Take advantage of the Technorenaissance and step outside your chosen field, your genre, your comfort zone, your natural groove. I’ve never commented on an author blog before. Hey Justine. Love your blogs and thanks for all the advice. I’m posting this for you here as either a discussion point, or potentially a future blog topic for you? An article you wrote about UNpubblished authors having an easier time building a platform really hit me. I qualify and have recently found an AMAZING source of HUNDREDS of thousands of potential readers of my work. Imagine the “Dreamlines” being real and there being 200,000 members of a group that studies them. So my dilemma is….how to reach out. Now that I’ve found them….how do I contact them that’s not cheesy….especially since I can’t contact them en masse and will need to send an introductory email one-by-one (theoretically). Thoughts? Comments? Suggestions on what to do or what NOT to do? Lots of blogs out there. I started reading blogs about four years ago, and soon found myself following about 100 of them. This became a problem: I wasn’t getting any book reading done. Blog reading felt essential to me, though — I’ll say something in a minute about why it feels so important — so I decided to try an experiment to see just how essential it was. I separated out the blogs that I felt I couldn’t live without — Penelope Trunk, Matt Cornell, Ben Casnocha, Merlin Mann, Colin Marshall, Ryan Holiday, JD Roth’s fitness blog — and put all of the others in a folder titled “On Hiatus.” I ignored the On Hiatus blogs and followed my “Real Favorites” daily. My hypothesis was that if the content that was on hiatus was really important to me, I’d find myself going into the folder to check it. Result? I stopped checking my “On Hiatus” RSS feeds completely. Didn’t miss them — in fact, I felt relieved to not have to read them. About once every 2-3 weeks I felt the urge to check JD Roth’s personal finance blog, but that was about it. After about 6 months I deleted the entire folder completely. Meanwhile, my RSS feed list began to grow again. I follow links, discover new blogs, follow them. Every few months I make a new “On Hiatus” folder and monitor how much I miss the blogs I put in it. More deleting will undoubtedly follow. But I’ve become increasingly conscious of just how little substantial content there is in blogs, and especially in the comments to posts. Most comments are just applause. I’d rather that commentors ask questions of post authors and that post authors respond, like the Q&A at the end of a lecture. Blog posts are more like lectures anyway. Well-written blogs are addictive to read — I spent hours going back through your LiveJournal posts when I first found your blog, Justine (via Casnocha). They feel essential and important. The intimacy of the voice and the subject matter, the short length which makes a post easily digestible, the single focus of the topic, the presentation hacks — bullet points, numbered lists, one-sentence paragraphs — which are attention-riveting. For curious minds, the links make a blog post feel like an intellectual buffet table. One can happily gorge oneself. Generally, though, the ration of meaningful-to-empty content is very low. It’s easy to get distracted by this because the content goes down one’s gullet so easily. Most blog authors have a limited menu of ideas to offer, and once one has eaten at their restaurant a few dozen times one tires of the food. 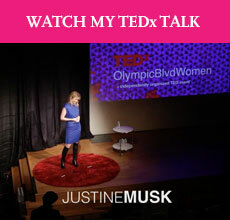 The five or six blogs that I follow closely — and yours is one, Justine — don’t suffer from this. Their authors are as eclectic and promiscuous in their interests as I am. We’re a good match. It’s also particularly the case with blogs that they don’t lend themselves to long-form content. I’ve never found a blog post anywhere near as complex as, say, a piece in The Atlantic or The New Yorker. I think the form is completely unsuited to that kind of content. On the other hand, it’s extremely well-suited to the fragmented schedule of many people’s days — it’s hard to sink into a book during your lunch break, but easy to completely consume a dozen blog posts off your RSS feed. I’m not sure that the ease with which one can consume blog content is necessarily to the advantage of those reading. I think one should be very conscious of these kinds of trade-offs: we tend to over-value the thing we’re doing over the thing we’re not doing. Having said that, some of the blog content I’ve read over the last four years has changed my life. The life I lead now has been heavily influenced by things I read in blogs. I never would have predicted that. A lot of blog content has truly wasted my time, but I can’t overstate the influence of the tiny percentage that hasn’t. The content that has penetrated my consciousness most effectively has been the fearlessly personal writing — people writing about their own personal journeys, unafraid to talk about their failures and wrong turns. The filler content — 10 Things to be Thankful For, 5 Mistakes Unpublished Writers Make — is fortunately deletable, although hard not to get sucked into paying attention to because it is just so edible. Binge eating blogs carries a cost in time, and it pays to be thoughtful about what you’re eating — and what you might be eating instead (like a book, or The New Yorker). I’ll say one other thing about this. There’s no question in my mind that blogs are a new art form. This is more than an issue of the medium in which art is made. Part of what makes them new is the presence of links. Part is the removal of barriers to entry to publishing and the removal of any and all gatekeepers. Part is the immediacy of distribution. Part is the interactivity they afford. It’s worth paying attention to how this art form develops. What’s not new about them is the way they combine intellectual content with marketing techniques. When Marx wrote “Workers of the world, unite — you have nothing to lose but your chains!” in a pamphlet, priced and packaged for mass distribution, he was doing both things at once, like any blogger with a product to sell somewhere in the background. If Thomas Paine’s Rights of Man were published today, it would be published as a series of blog posts, with a Google Adsense ad for the Democratic National Committee and another for losing 10 lbs in 10 weeks in the right-hand column. Wow. Once again, Dan, a wise and riveting ‘comment’ from you that should be a blog post in and of itself. I ‘follow’ a countless number of blogs that I feed into my reader but I am conscious of looking for what you describe — the blogs I can’t live without, the blogs that make me feel I’ve just consumed something substantial, however that may express itself. (I recently discovered Penelope Trunk, by the way, and she’s on my must-list too.) I haven’t separated the ‘must’ blogs from the other blogs, or consciously tried to, but I notice the blogs my gaze always skips to when I look through the reader and I think that says it all. And, like you, I can’t imagine living without them — blogs have somehow, when I wasn’t looking, become deeply tied into both my life and perhaps even my identity — but I am also conscious of what I haven’t been reading in order to consume these blogs, and I’m not comfortable with that. At the same time, I feel I’m engaged in something obsessive yet temporary — some kind of learning curve — that is bound to calm down at some point…And I also sense that my blogging is related to and a powerful influence on my fiction writing, which seems to justify it a little more, but whether or not that’s actually true and not just a convenient gut feeling is, I suppose, still to be seen. The other side of this topic is the writing of blogs — which was really the topic of your post, and which I didn’t address. I spent an hour writing my comment. I could have spent that hour writing my novel. Did I make the right choice? I’m not sure. For writers, I think any kind of writing practice is valuable and also useful in a practical sense. To the extent that blog posts are attempts to explain things, learning how to explain things clearly in writing is always valuable. But a blog post — similar in many ways to so many genres (memoir, journalism) — isn’t a work of fiction. Working writers always write across genres — a book review isn’t a work of fiction either. Still, you have to be self-aware of what you’re doing in a larger sense. Of course, your “observation” posts — your account of lunch out with Dude, say — employ many of the narrative techniques and structures of a piece of fiction. I can see why this form draws you — it suits your natural writing voice. That isn’t the case for my fiction. So, I’m practicing something when I spend an hour writing a post-like comment, but I’m not really sure what. I don’t need to see a one-to-one translation, but I need to feel that something concrete is being accomplished, even if it’s just keeping the machinery well-oiled. It certainly feels satisfying — to clearly articulate ideas. That may need to be enough. My novel is no further along than it was when I went to bed last night, though: that feels like a problem. A note about Penelope Trunk’s blog. There’s just nothing else like it out there. Her writing is hugely entertaining. She has you in her fist from the start of a post to the end: as with any great fiction writing, her pieces always show you something you didn’t expect, and the pieces open themselves to you in the most unexpected and enjoyable ways, even when the content is hair-raising. They have an internal gravitational force that is something that sets great writing apart from everything else. Her personal life is a train wreck and is mesmerizing to watch, but its not intrinsically engaging — she makes it so. This is not easy to do; it’s not enough to merely write in the first person. I disagree with much of her career advice, and hate her generalizations — I tend to skim the career posts. But the personal posts are masterpieces, totally unique. And as a marketing vehicle, it works like a charm: she gets $15,000 a talk and syndicates her content in newspapers. Hers is Example #1 of the synergistic marketing effects of writing a blog, as she herself has talked about. Also note her advice to authors (most recently to J.D. Roth): don’t both publishing a book. Just not worth it. You can earn more money writing in other forms. Would, by any chance, the Penelope Trunk that you are refereing to be the same Penelope Trunk that writes and manages the Brazen Careerist blog and social site? Yes, she’s awesome, and a perfect example of the “fearless personal writing” Dan mentioned. Alexander, any more thoughts on what you’re going to do about a blog?